Each morning, Eastport, Maine, is the first city in the United States to see the sunrise. 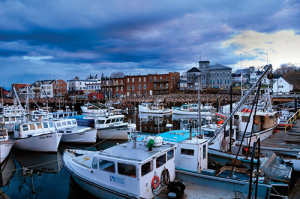 Among the contiguous United States, Eastport has the deepest natural harbor (Fallows, 2014), one that buzzed with industry and prosperity during the 19th century and well into the 20th. The city’s fortunes have largely mirrored those of the sardine industry: Once the largest endeavor in the state, the sardine processing business began to decline after World War II, until the last processing plant in Maine (and the United States) closed in 2010 (Russell, 2010). Two-and-a-half hours by car from Bangor and Ellsworth, the nearest cities in Maine, Eastport is located in rural Washington County. The county is twice as large as Rhode Island, at 2,562 square miles (U.S. Census Bureau, n.d.), yet has only two traffic lights and a system of two-lane roadways, not all of which are paved. It is one of the poorest counties in Maine; in 2015, 19.5% of Washington County’s population of 31,808 lived below the poverty line (U.S. Census Bureau, n.d.). Robert Wood Johnson Foundation (n.d.) ranked Washington County last among 16 counties in Maine for overall health outcomes in 2015. Incorporated in 1978, Eastport Health Care (EHC) is a federally qualified community health center (FQHC) with a mission to provide access to high-quality healthcare regardless of patients’ ability to pay. In 2006 and 2007, EHC established two satellite offices in Maine: one in Machias (60 minutes south of Eastport and the county seat) and one in Calais (45 minutes north of Eastport). One of five FQHCs in Washington County, EHC provides a range of services—medical, behavioral health, dental, radiology, lab, psychiatry, nephrology, and social support—to 5,494 patients in its service area. 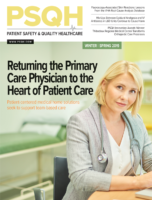 The prevalence of known chronic disease is remarkably high among those patients, as the numbers from EHC’s 2015 Uniform Data System show: 34% have hypertension, 12% have heart disease, 14% are diabetic, 16% are obese, 63% struggle with mental illness, and 6% are dealing with substance abuse. In 2010, EHC’s long-standing CEO retired, and several providers moved to larger communities in southern Maine or out of state. Early in my tenure as the newly recruited (and first-time) CEO, it was apparent to me that forthright engagement with the organization and community would be critical for a successful transition. As I considered how best to obtain the voices of staff members and county residents, the idea of creating a program that I call Community Circles came to me. Calling the Circle (Baldwin, 1998). This Native American Circle format honors one voice at a time; each sharing is important, each voice essential. Join the Club (Rosenberg, 2011). The peer voice is the most significant voice in any attempt to change a culture’s behavior or belief. Wired for Culture (Pagel, 2012). Our chromosomal mapping is influenced by our belief system. Noting an entrenched sense of helplessness and even hopelessness among citizens of Eastport, I postulated that using a peer model might shift the negative, multigenerational presence of poor self-worth to a positive, improved spirit of well being. Emotional Intelligence (Goleman, 2005). All humans respond to compassion and demonstrated caring. The Four Agreements (Ruiz, 1997). The tenets set out in this book—be impeccable with your word, always do your best, don’t take anything personally, don’t make assumptions—provide a framework for more effective communication.